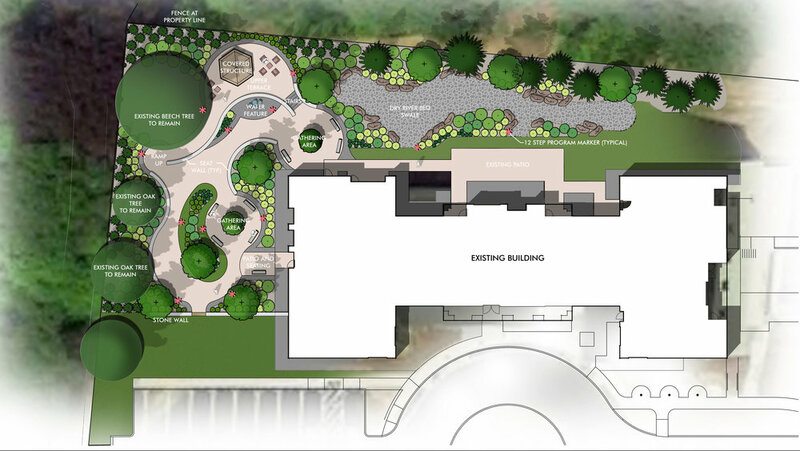 The healing garden at Spectrum Healthcare Systems’ Westborough campus was design as an accessible respite that invites visitors on a journey through the site that is both physically and mentally stimulating. Meandering pathways, curved stone seat walls and strategically placed gathering areas allow for peaceful strolling, reflective relaxation and outdoor engagement. 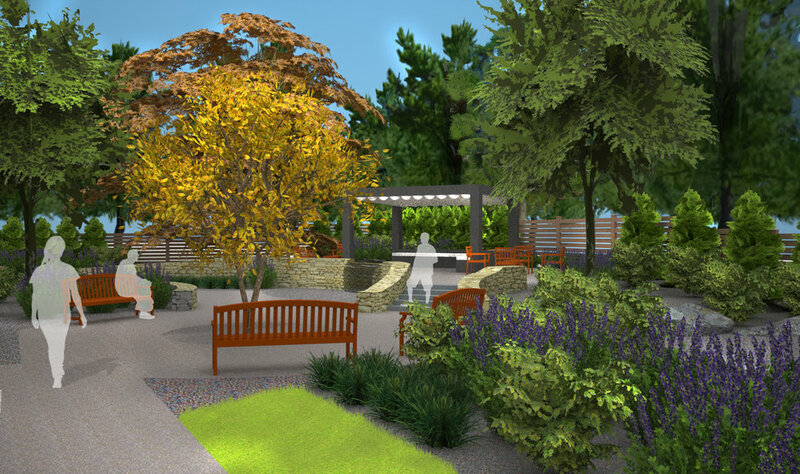 Integrated garden elements offer reminders and inspiration towards addiction recovery.